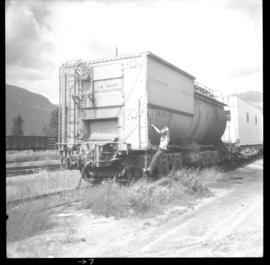 Photograph depicts the arrival of an eastbound empty grain train, carrying 103 cars, at the Kamloops Junction in Blue River. 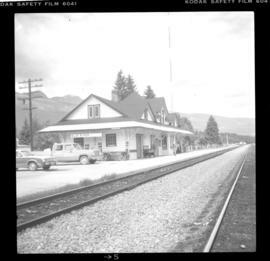 Photograph depicts a second class station built by the CNR in 1916. 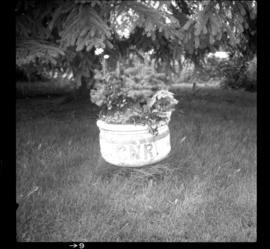 Photograph depicts a concrete pot in an elaborate station station garden that was still maintained but at a much lesser degree than in previous years. 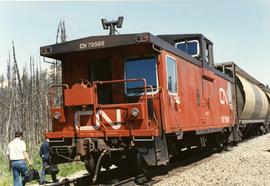 Photograph depicts a former steam locomotive tender. 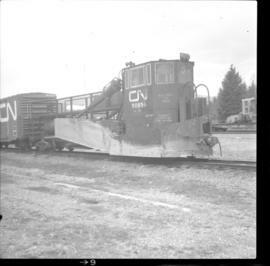 Photograph depicts a CN spreader, built in 1960. 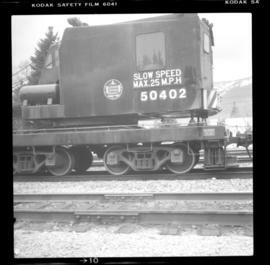 Photograph depicts a crane, numbered 50402. 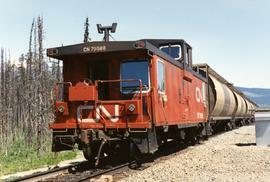 Located at the CNR depot in Blue River. Photograph depicts a buffing post put up by "Dominion Wheel and Foundries Ltd, Toronto." 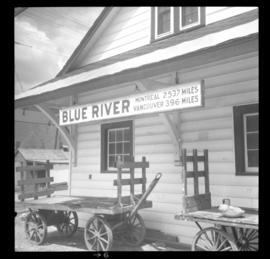 Photograph depicts the depot in Blue River built in 1916. It was located at a subdivisional point. 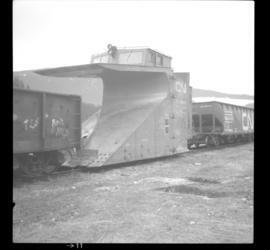 Photograph depicts a plough that was built in 1936. 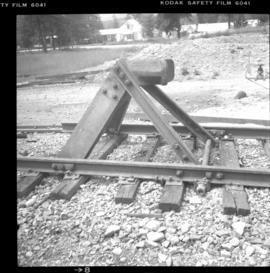 It was found at the depot in Blue River.